Before you can make a tutoring appointment, you must register in the Academic Skills Center's Tutoring schedule. 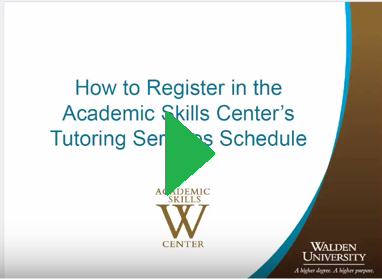 Please watch the video below on how to register in the Academic Skills Center's Tutoring schedule. After you've registered in the Academic Skills Center's Tutoring schedule, you may make an appointment with a tutor. 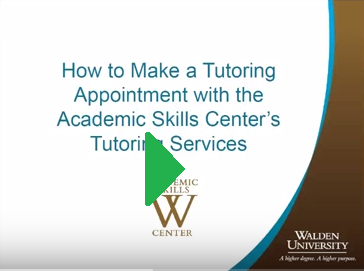 Please watch the video below to learn how to make an appointment with the Academic Skills Center's tutors. 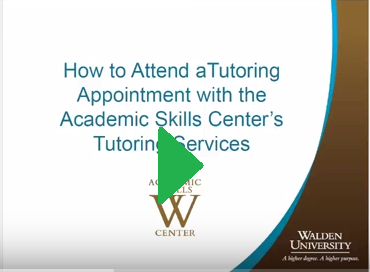 Please watch the video below to learn how to attend your tutoring appointment. To learn how to download and use Skype for Business to chat and screen share with your tutor during your scheduled appointment, please see our instructional video series below.